After the speculations and image leak, Porsche has finally revealed the new 2011 Porsche 911 GT3 RS 4.0 Limited Edition. 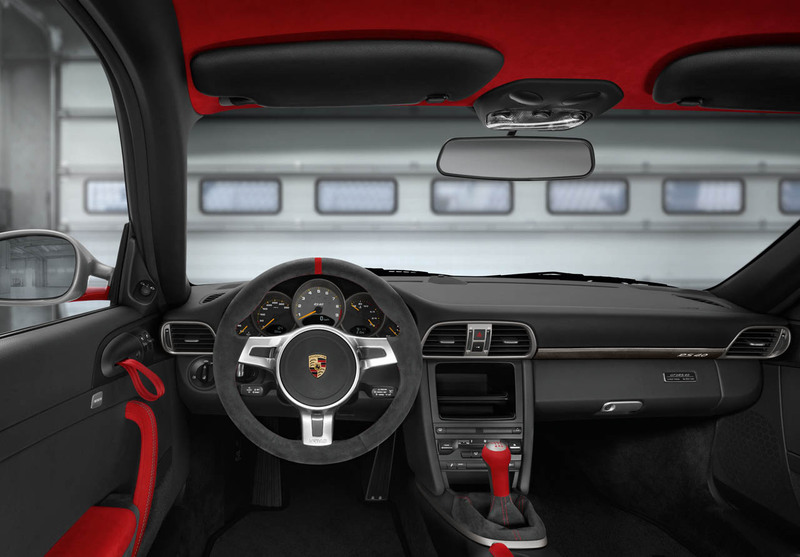 As you already guessed the obvious, the new 911 GT3 RS 4.0 features a 4.0-liter naturally aspirated flat-six. The architecture from the new 4.0-liter was taken from the GT3 RSR racecar incorporating titanium connecting rods, forged pistons and virtually the same crankshaft found in the RSR. The new 911 GT3 RS 4.0 will be Porsche’s most powerful naturally aspirated street 911 with 500 horsepower at 8,250 rpm and 339 pound-feet of torque at 5,750 rpm. 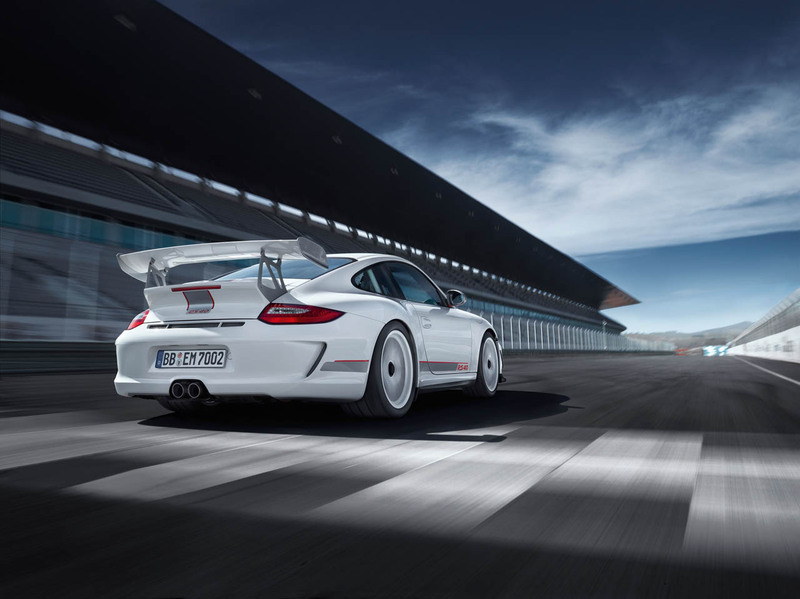 The new Porsche 911 GT3 RS 4.0 has a light-weight body, at 2,998 pounds, resulting from several carbon fiber bits down to weight-optimized carpets lining the luggage compartment. This will allow the 911 GT3 RS 4.0 to hit 60mph in 3.8 seconds (more than likely another conservative figure from Porsche) and top out at 193 mph. To keep things proper, a 6-speed manual transmission will be the only choice to direct power to the rear wheels. And that is the way it should be; Thanks Porsche! 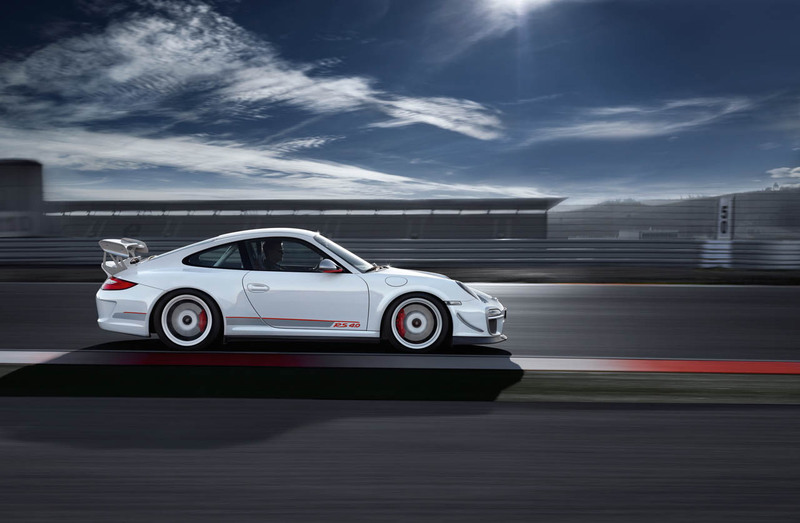 To complete things, the Limited Edition 911 GT3 RS 4.0 will come standard in the white paint color as seen in the official images with new innovative air deflection vanes on both sides of the front bumper for added stability and an additional (up to) 426 pounds of downforce. 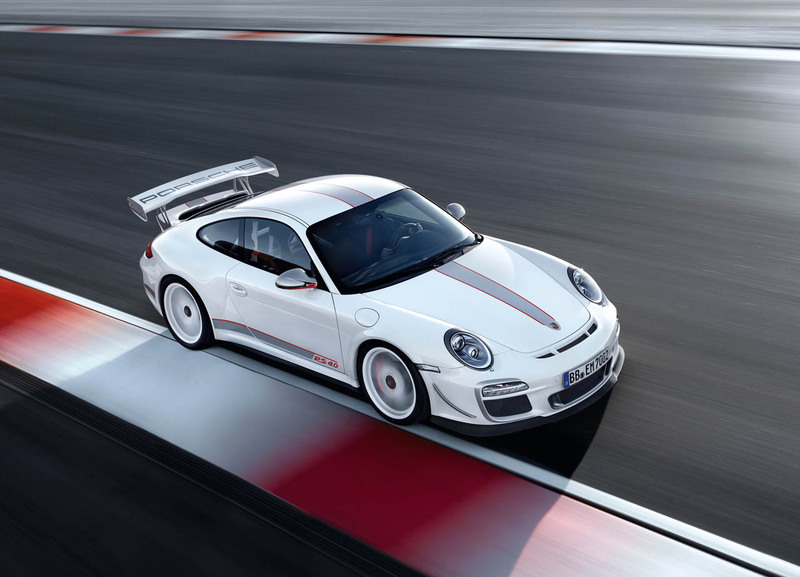 Only 600 fine examples of the all-new 2011 Porsche 911 GT3 RS 4.0 will be produced this year for a price of $185,000. That price will get you a vehicle that can lap the Nurburgring in 7 minutes and 27 seconds which places it as one of the fastest for a production vehicle. 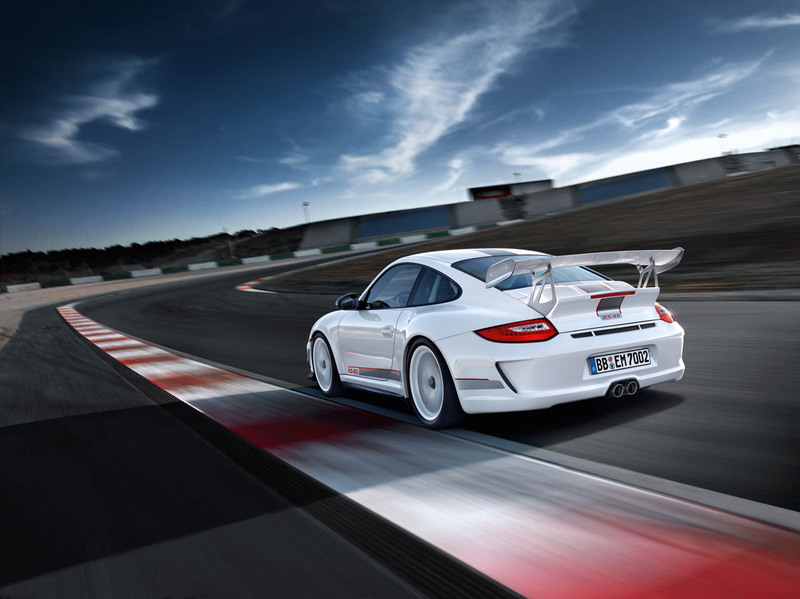 ATLANTA – April 28, 2011 — The 911 GT3 RS, one of Porsche’s most popular, coveted and successful track-inspired production cars, has been given a final, thrilling injection of thoroughbred motorsport technology resulting in the 2011 Porsche 911 GT3 RS 4.0. 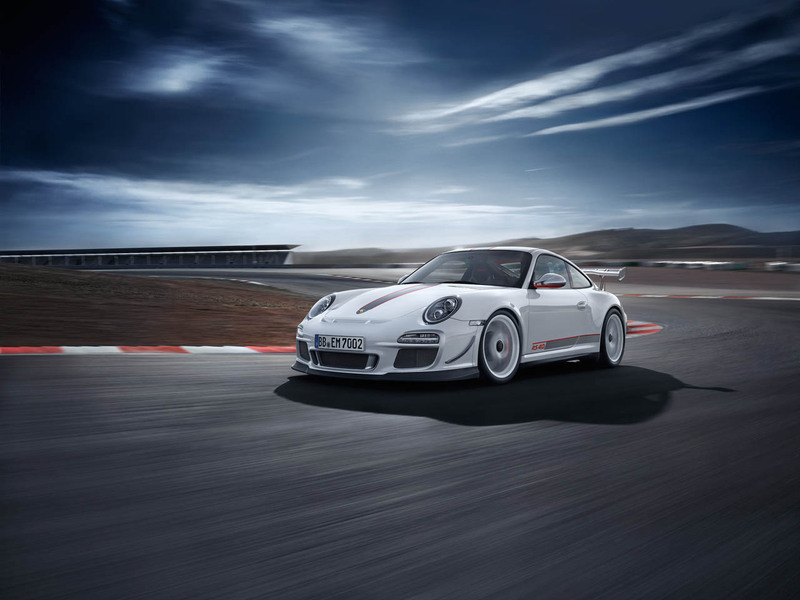 Limited to 600 vehicles worldwide, the 911 GT3 RS 4.0 brings together in a sports car the attributes that have made the Porsche 911 GT3 a consistent winner on the race track.